Don’t miss this movie: “A Star is Born” with Lady Gaga and Bradley Cooper.. This is a re-post from September 2018 when we chose the soundtrack song “Shallow” for our post. The film opened in October. That BF choice proved to be a good one, because Bradley Cooper and Lady Gaga brought down the house at the Oscars on February 24, 2019, with their torrid duet, and the song won the Award for “Best Song.” You can hear it below. We also posted a video with both stars called “Music to My Eyes.” See link below. “Music to My Eyes” from A Star is Born. Green Book. An excellent film about race relations gone right. This is a wonderful movie. We wrote this review after the film opened in December, but now it is up for an Academy Award as best picture, and the Oscars are this Sunday on Febl 24, 2019. So we are re-posting this article for those who missed it. It also has a bit of a political back story, because there are those in our society who don’t like a plot line where a white man befriends an African-American. 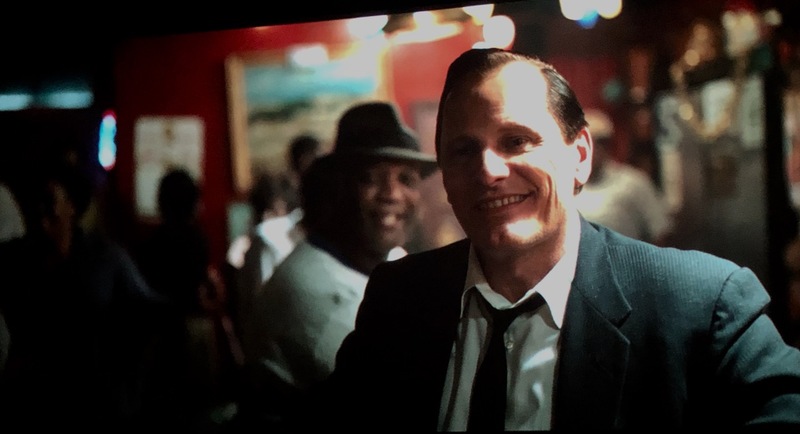 Green Book is about a sophisticated black concert pianist who hires a blue collar Italian Bronx bouncer to drive him on a concert tour through the deep South. They are an odd couple, but as you might expect, they share happy, funny, and worrisome moments in the film and eventually bond in friendship. 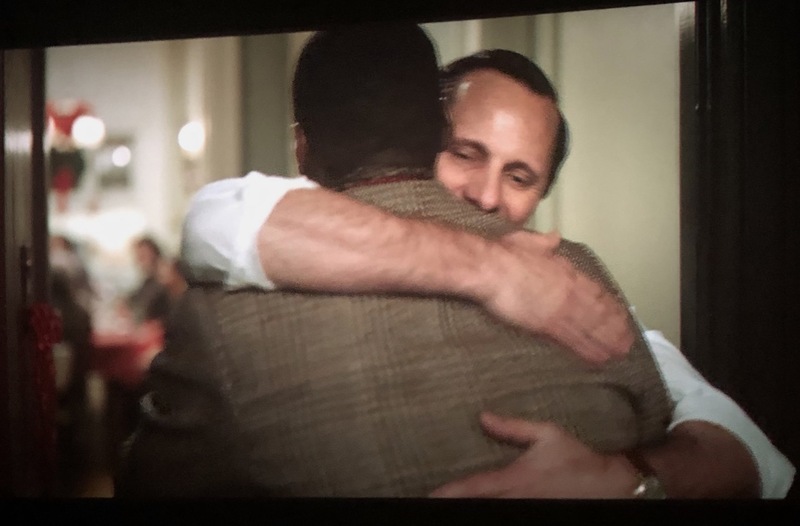 Viggo Mortensen plays Tony, the warm hearted overweight tough guy, while Mahershala Ali plays Dr. Don Shirley, the elegant and polished musician. The film is about their two month road trip together, and, as you can predict, they run into racism. Reviewers acknowledge that audiences love this film but they are critical (that’s their job–they are critics) of the predictable events along the way. 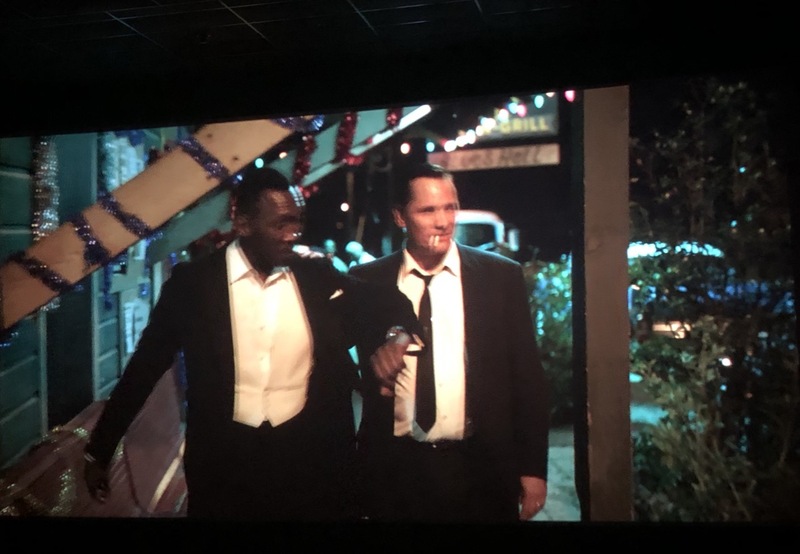 In one scene in Alabama, Dr. Shirley is to play a Christmas party in a fancy country club, but they won’t let him in to have dinner with the whites in his party. Shirley refuses the gig, and he and Tony wind up in a smoky black bar where there is close dancing, laughter, live music, and fun. Sure enough, Don gets to play piano with the house band, and he does just fine with the boogie-woogie music, even though he is one black man who has never eaten fried chicken. Eileen and I loved this movie. The cinematography is beautiful as they travel through snow storms, driving rain and then visit scenic areas including a field where blacks are working picking cotton. The local southern color and people are as foreign to Tony as they are to Don. The music is of great interest since it is difficult to pigeonhole . The formally trained pianist is primarily a jazz player, but he builds his compositions on a classical sensibility. I enjoyed his playing very much. I wanted to make my review out of still photos taken off the screen. The result is a bit blurry, but I like it, and I will try it again. Tony watches his “boss” perform in a smoky black bar in Birmingham. Tony and Don become friends despite inevitable friction at times. Don Shirley off the concert stage and into the hearts of down-home folks in a place where he learns quickly to feel comfortable. Tony makes it home in time for Christmas eve in the Bronx. Does Don join him there? Christmas eve in the Bronx. “Bohemian Rhapsody:” Don’t miss it! It doesn’t matter if you never heard of Queen or if you hate rock and roll, this movie is so well done that you will become emotionally involved, and you will love most of the music. In the mid-1980’s I was listening to jazz and classical, but I could not avoid Queen‘s music because my younger son was a huge fan, and he and his 3 best friends in high school had formed a band called “Premonition,” and Eileen allowed them to practice in our basement. They wrote “Premonition” on one of the overhead beams, and I hope it’s still there. And they played “We Are the Champions” at high volume over and over in our house. This movie made me realize how accessible Queen’s music really is and how beautiful. I heard of Freddie Mercury, but in this film we find out about him and his life, and it is touching and utterly engaging emotionally. His relationship to his band-mates, his friends, his sexuality, his music, and his family is unforgettable. It is unlike other biopics such as the one for Ray Charles, where the music takes a back seat to drugs and a dissolute life. I was aware of Rami Malek who plays Freddie Mercury because I had seen him in the streaming series “Mr. Robot” which is a very good series, but it’s amazing how the producers saw that and called Malek in to audition for Freddie Mercury, because the rolls are so different. It is fascinating to find out how Malek was turned into a singing and dancing gay guy for the film. You can buy it today on Amazon Prime for $20.00. It is the first movie I ever bought to be owned and played only by streaming. 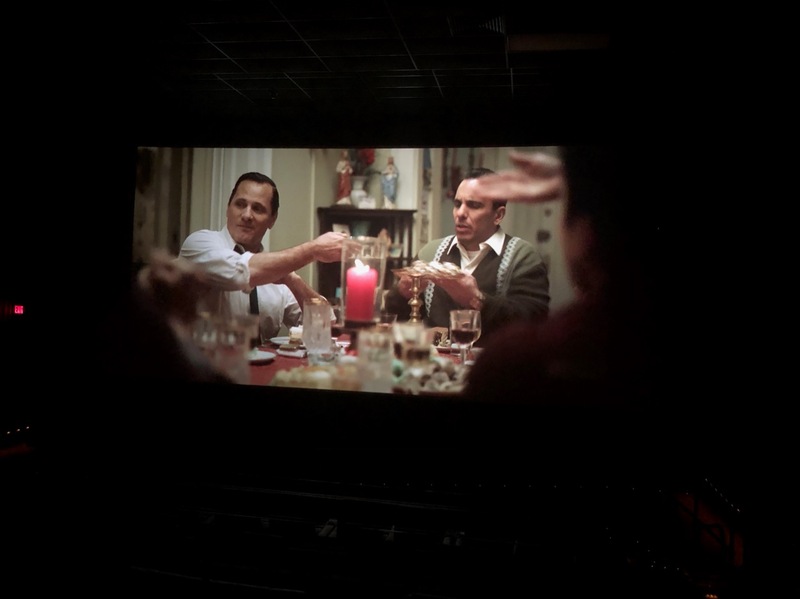 I have a good TV and sound system, but I will, at some point, see Bohemian Rhapsody again on a big screen with a big-time sound array. Rhapsody is up for some big Oscar awards, and Malek could win best actor. Here is a video of the actual Queen at Live Aid in 1985. This medley lasts for 24 minutes, but don’t miss the ending. This video has been seen over 160 million times. There is a movie playing at the Showroom in Asbury Park on Cookman Avenue about Vincent Van Gogh and the events surrounding his death. Loving Vincent is a fascinating mystery story, but the most impressive thing about it is that it is an animated film made by over 100 artists over 7 years who painted in the Van Gogh style. They used well known actors, and the animation was made by painting over their film images. The plot is controversial because most experts don’t agree with the film’s conclusion. The film is so unique, and for those who are interested in art, this will be a special experience. Loving Vincent is being “held over” in Asbury. Our main criticism is that it is too long. 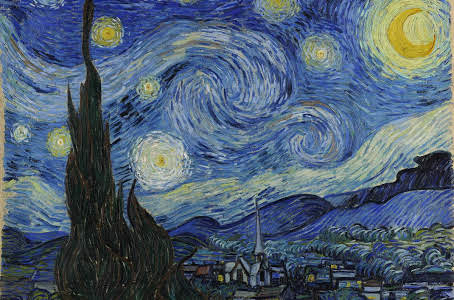 LIANNE LA HOVAS: “Starry Starry Night” from the soundtrack of Loving Vincent. Michelle Williams in a scene from “My Week With Marilyn.” Re-posted from 2012 on Blogfinger. Marilyn Monroe, the voluptuous pin-up girl of the 1950’s and the star of every boy’s dreams, is the subject of the movie “My Week With Marilyn.” The film depicts a slice of her life when, at the peak of her fame, she goes to England to make a movie with Sir Laurence Olivier. She is depicted wonderfully by the gorgeous Michelle Williams, who re-creates all the Marilyn moves complete with shimmies, winks, bouncing curves and breathy voice. She is depicted as she was: part vulnerable woman and part petulant child. Huge success and tragedy accompany her. In the film she is on her honeymoon with Arthur Miller, but he leaves for a week, and she gets to spend time with the 23 year old “third director” who becomes her pal. The story is taken from a book published in 2000. There’s a fine soundtrack which includes the pianist Lang Lang. Also, Nat King Cole, from the same era as Marilyn, performs one song, but it is perfect as a musical background for Marilyn Monroe as we like to remember her. “Stardust Memories” (1980) was Woody Allen’s 10th film in which he acted and directed. It came after his biggest hit, “Manhattan” (1979), a gorgeous film which had won four Academy Awards. “Stardust Memories” is about a famous filmmaker who comes to a seashore retreat to celebrate his work. The movie is a serious effort that examines themes such as life, death, relationships and religion. It was shot in black and white by Gordon Willis, the famed cinematographer who also filmed “The Godfather.” Woody says that “Stardust Memories” is one of his favorite movies, but it bombed at the box office. The film was discussed during part I of the Woody Allen Documentary on PBS Sunday night. The Great Auditorium exterior was used to represent the Stardust Hotel. Some other exteriors in OG and Asbury were also used, but other locations and studio venues participated. I think the Casino was used as a train station. Evidently, the electified cross was taken down since it needed repairs, and Woody paid for a new one after filming. In the documentary, they showed some scenes from the film, and I managed to grab a few shots from the TV including two showing the GA. So while we are on the subject of movies where local towns are mentioned, here is a favorite of mine, and the above article explains it all. It was last posted on Blogfinger in November, 2011. 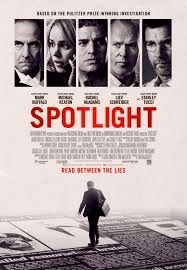 “Spotlight” is a movie about a sickness that unfortunately arises too often whenever there is an inequality of power. The victim doesn’t know what to do. The perpetrator tries to justify his actions as being not truly evil. But, what about those that become aware of the transgressions and do nothing? There hasn’t been a movie extolling the virtues of non-biased investigatory reporting since “All the President’s Men”—that is until now. A group of reporters for the Boston Globe truly put the Spotlight on the Boston Diocese’s failure to address a systemic problem among many of its priests, to wit: the abuse of children, both male and female by an inordinate number of priests during the 70’s and 80’s. Their actions were truly an abuse of power. More devastating was the institutional cover up permitted and/or facilitated by Cardinal Law. The investigation does not begin for years after complaints were filed. The new editor of the Boston Globe, upon being apprised of one man’s anger that no one believes him, orders an investigation. That one claim leads to 3 more victims, then 13, the ultimately to 85. Priests accused of these improprieties received some counseling, were transferred from church to church, and frequently violated their oaths again and again. The acting ensemble leaves you breathless. The casting is perfect, be it reporter, priest or lay person. You will recognize many of the actors from TV, but their familiarity does not distract. You are pulled into the horrific dilemma facing the reporters and their drive to penetrate the wall of silence. This is not a movie bashing the Catholic Church. The institution is protected and separated from the evil of these predators. However, like many well intentioned people, the desire to protect the institution allowed them to close their eyes and not face reality. Ultimately, you ask yourself, did these acts occur in such large numbers? Was it an exaggeration? Were people making false claims in order to receive compensation? It is a type of claim reluctantly made by the victim. Once made, it is a claim harder to prove and one which will forever scar an innocent man. At the end of the movie, unlike another recent play and movie, you will have no “Doubt”. No doubt that during that time and place, these inappropriate acts did occur, and good and decent people did not want to believe. As a result, innocent children suffered and were so scarred that no amount of time could ever heal their wounds. ROSS R. ANZALDI is a retired New Jersey Superior Court Judge who writes movie reviews exclusively for Blogfinger. For most of us who ever played a musical instrument, we were exposed to teachers who tended to be soft spoken and artistic, introducing us to Mozart, Glenn Miller, Sousa and Vaughn Williams. But at this music school, the students enter as freshman already outfitted with great musical understanding and abilities. They are poised to move up to pre-professional levels of education. Andrew got into the school because he is a musical talent who could read the most complex charts and play the most difficult pieces. But his goal is to get to the top where his role models are way above the rock and roll drummers that high school kids often admire. Andrew is looking for inspiration from not only jazz drummers Jo Jo Jones and Buddy Rich, but he also admires the great be-bop alto sax super star Charlie Parker. The freshman immediately sets his goal on being the number-one drummer in the number-one jazz band among college ensembles. But to do so, he has to impress Fletcher, who has unusual methods of teaching and motivating students. Fletcher is a sadistic, intimidating, fearful and unforgiving professor who drives Andrew into a state of hopeful despair bordering on insanity, even as his abilities become super-charged. J.K. Simmons won an Oscar last month as best supporting actor. Although you might not know his name, most of you will recognize him because he is a character actor who has taken on a huge variety of roles over the years. His character is so abusive, that it is hard to believe that he could have kept his job at any college, and especially one that receives the finest young talent in the country. Miles Teller is a young actor/musician with tremendous range in the role of Andrew. He plays a character that most of us will never meet unless we attend school at Juilliard. Miles is 28 years old and has appeared in quite a few films before Whiplash. Then name “Whiplash” refers to a challenging jazz orchestra arrangement which Andrew and his fellow student musicians need to master. The name also references the dynamics of Andrew’s relationship with his teacher. Surprisingly, the film comes across as a suspenseful thriller. The jazz soundtrack is glorious, and even though Whiplash is about musicians, the film will keep you at the edge of your seat with its driving energy fueled by the music. You don’t have to be a musician to appreciate the universal themes which include the quest for the greatest success in the arts and in life, the relationship between student and teacher, and the price that artists may have to pay to be the very best. I give Whiplash 4 of 5 Blogfingers, and you should see it in a cinema with a superb sound system. What a waste to rent or stream it and play it on your puny TV speakers.